We are covering some of the basic estimating principles detailed in a manual written by Herb Wendes, " Everything You Wanted To Know About Estimating But Were Afraid To Ask." The updated and expanded version of the original manual is now published by Fairmont Press, Inc. "Mechanical Estimating Manual". Successful contracting is built on a foundation of accurate labor and material estimates with valid markups for overhead and profit. Bids should include direct costs for labor, materials, equipment, subcontractors, indirect overhead costs as well as a provision for profit. The primary goal of the estimate is to cover all costs for a project as they are likely to to occur and meet acceptable plan, specifications and performance criteria. Allowances for indirect overhead costs for the year should be allocated on a proportionate basis for each project. Allocation of indirect costs are easily overlooked when considering the multitude of direct labor, material costs, special conditions and specifications for a project. As much as possible allow enough time to properly prepare the estimate, most errors are experienced due to rushing, pressures of unforseen interruptions, omissions,inaccurate takeoffs and not having adequate time to clarify plan and specification errors. In many cases a contractor is forced to bid selectively in order to avoid mistakes. In the long run it is better to select projects that have the potential for profit and provide value to the client. The introduction of specialized HVAC Estimating Software has provided estimators with a valuable tool in preparing accurate and detailed estimates. Software Advice has released a recent survey that considers and evaluates some of these benefits. The link below will lead you to the survey. 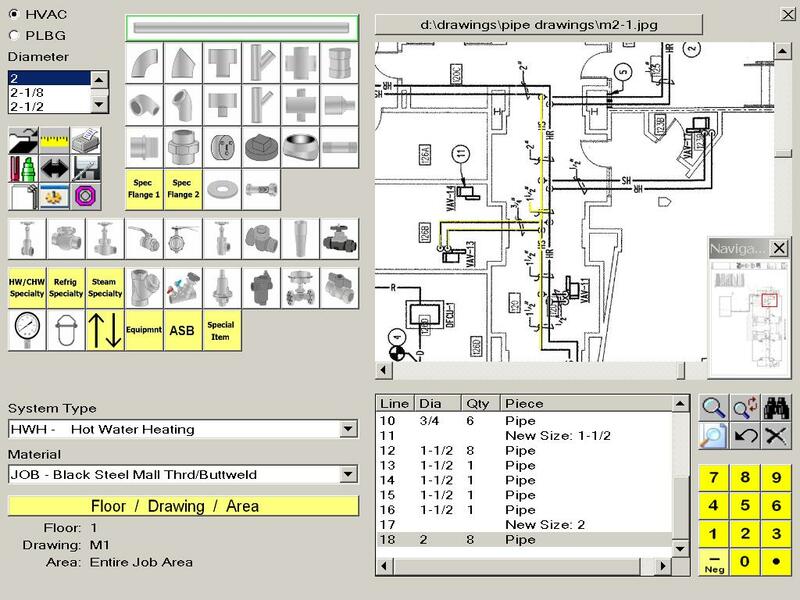 Choosing the best HVAC Mechanical Estimating Software should start by evaluating these basic features as they pertain to your business: Size of the estimating software database, Number of estimating assemblies, Labor tables provided, Material pricing, Number of estimating reports, Integration with other construction software and Customization ability. Every company is unique and has varied requirements so the importance of every feature will depend on individual need. All systems should provide ease-of-use and a rapid return on investment. Start the evaluation process by comparing projects that you are familiar with and have estimated by hand or with a spreadsheet vs. results produced by the HVAC Estimating Software you are considering. The bast way to accomplish this comparison is to "Perform A Detailed Takeoff With A Vendors Software System". Ask prospective vendors for "Trial Software and Training" before you purchase, evaluate performance and Ease-of-use based on real projects. Trial software will provide hands-on experience with estimating results. By conducting a trial evaluation you will have an opportunity to evaluate the responsiveness and quality of the prospective vendors technical support infrastructure. Solicit references from other respected industry users to determine the integrity and reputation of the prospective vendor before you purchase. Estimating is the cornerstone of every companies success, it provides the up front information for determing risk and gauging future profit. Information gathered during detailed estimating may be tracked at every phase of the construction project.